FIRE International is committed to providing the highest level of customer service. The success of our debt settlement program rests solely on the relationships we build with our clients. These relationships are built on trust, understanding, and mutual respect. We lead our clients through the web of overwhelming financial destruction onto the road of financial freedom. F.I.R.E. Int'l has established a highly effective debt settlement (negotiation) process, which allows our clients to rid themselves of overbearing private and commercial unsecured debt. We can even settle some types of secured debt. This process has helped thousands of American families to avoid having to file for bankruptcy. Our trained negotiators have an exclusive relationship and an excellent track record of settling millions of dollars of debt with creditors, banks, and collection agencies. Debt settlement is a legitimate and legal way of solving your debt problem without the need for bankruptcy. We are so confident in our debt settlement process, that if we do not settle your debt at 55% or less, we offer a money back guarantee. 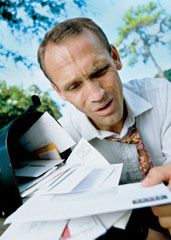 By clicking on this link you may learn more about FIRE International’s debt settlement process. FIRE International has the most effective credit correction program available to you today. FIRE International uses the Fair Credit Reporting Act (FCRA), which was established by the federal government to protect an individual’s rights about the information reported on their credit reports. With FIRE International's extensive knowledge of the FCRA, we challenge the credit reporting agencies to remove erroneous, inaccurate, and outdated information from your credit reports. By removing these types of items, your credit scores will improve. We are so confident in our credit correction process, that if we do not improve your credit scores, we offer a money back guarantee. By clicking on this link you will find the entire text of the FCRA. Getting repeated phone calls from bill collectors? Afraid to pick up the phone because you are worried it will be another collection agency calling? FIRE International will take over all communications with collectors providing you with peace of mind. There are laws to protect you as the consumer from this type of harassment. FIRE International utilizes these laws to stop unwanted phone calls. The Fair Debt Collection Practices Act (FDCPA) is a collection of laws enacted by Congress to help protect consumers from illegal practices of Debt Collectors and Collection Agencies. By clicking on this you will find the entire text of the FDCPA.